Dr. Jennifer Daniels: Can Turpentine Help To Cleanse & Heal Your Body? Who would have thought taking turpentine could be good for your health? Today we spoke with Dr. Jennifer Daniels from Vitality Capsules to discuss candida, yeast infections and how this substance turpentine can help to restore health in the body. I know what you’re thinking, “isn’t turpentine caustic and damaging to the human body?” If you look on the labels of the turpentine you buy at the store, you’ll see a skull and crossbones on the side of the package and it’ll scare you to death. Dr. Daniels said that it had a lot to do with government propaganda which makes some sense to me. If turpentine is in fact very healing to the body, why would the government want a population that is strong, robust and is in no need for pharmaceutical medications or even chemotherapy or radiation? It just doesn’t make good business sense for the government. Turpentine according to Dr. Daniels has been used for hundreds if not thousands of years to help the body get rid of chemicals, toxins, poisons, heavy metals and other substances that deteriorate our health. High levels of heavy metals along with exposures to steroids and antibiotics are the root cause of candida and yeast infections. It’s interesting many people think that the symptoms of yeast infections and candida are what we need to get rid of. Rashes, skin infections, blotches, bloating and all the symptoms related to candida aren’t the problem. The candida is eating up dead cells in the body. Candida is a good thing. Without candida you’d toxify your body with an overabundance of dead cells that have no way of exiting the body. Candida is a good thing because it eats up dead cells. The real question is what’s killing all these cells, why are the cells so weak that they do in fact die and why are cells dying in the first place? Asking questions like these are getting to the root of your health concerns. For those that don’t know Dr. Daniels is the author of Do You Have the Guts to Be Beautiful? as well as The Lethal Dose (Murder By Medicine is No Accident). DON’T FORGET! All the juiciest discussions about this episode are going on in our forum. Sign up for a free account and let the rest of us know what you think of this episode! We hope you enjoyed this episode and please share it with your friends and family! 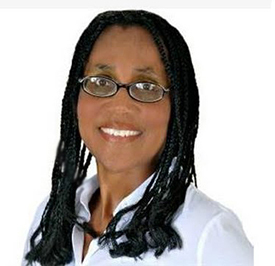 Dr Jennifer Daniels is widely considered one of the foremost Alternative Healing Physicians alive today. She graduated from Harvard University with Honors receiving a BA degree. Her education continued at the University of Pennsylvania where she received her Medical Degree (MD) and also attended Wharton where she received her MBA in Health Care Administration.